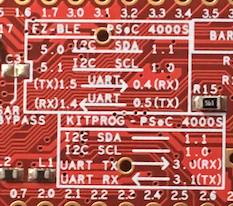 I didn’t have the schematic on the airplane, but here is a more “schematic” view of the chips on the board. 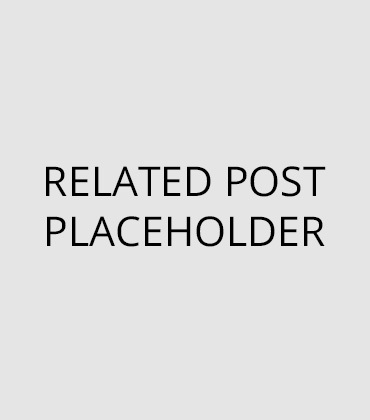 Add the new CapSense component. I am currently running a “nightly build” of PSoC Creator 3.3 that supports the new chip. 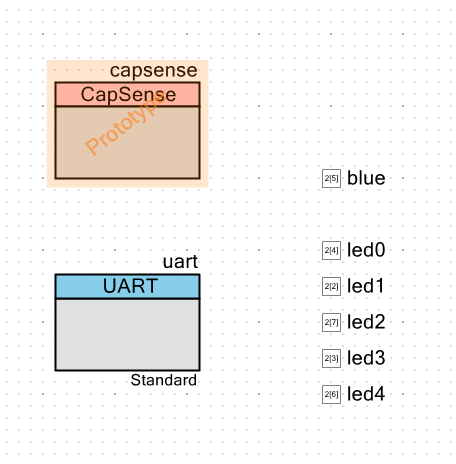 You can see in the PSoC Creator release I’m using there is a prototype version of the CapSense component. 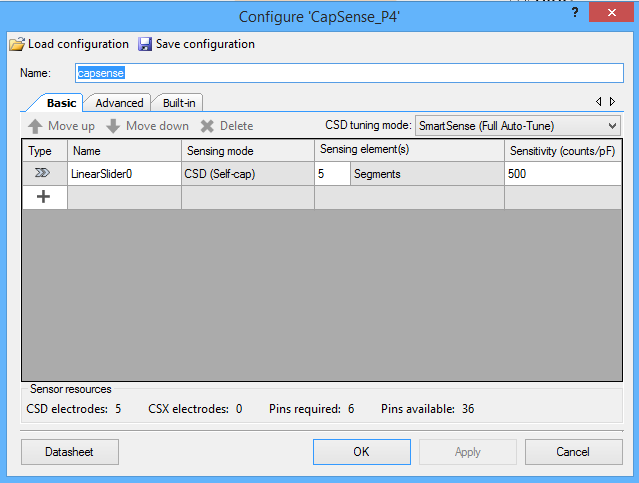 Here is a screenshot of the new CapSense component configuration wizard. You can see I added a linear slider and set up the component to use SmartSense full-auto tuning. 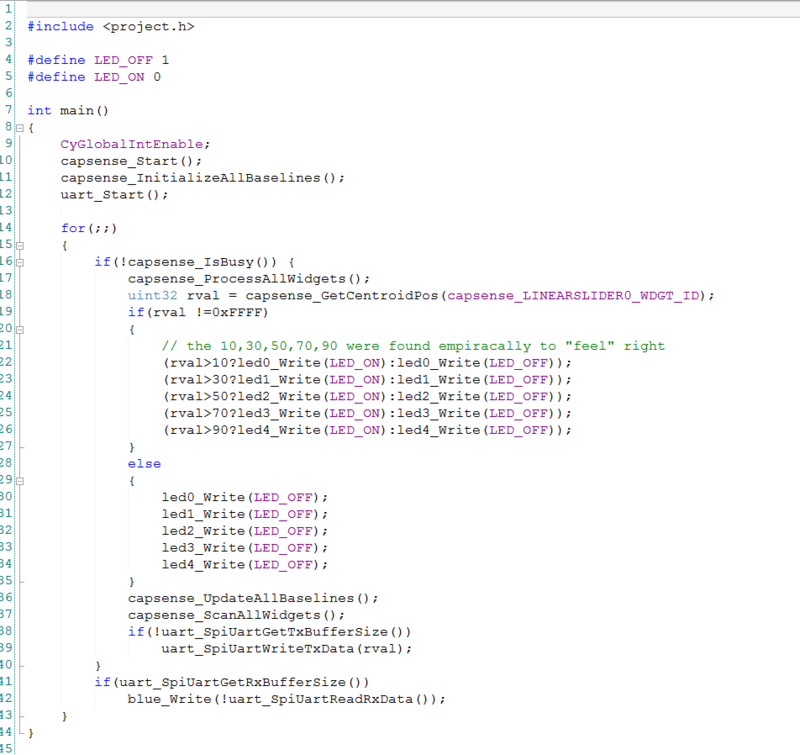 Then I wrote the firmware, which was pretty straight forward. 16: If the CapSense block is done scanning and is idle, then read the CapSense and do something with it (lines 17 -> 41). 30-35 If there is no touch, then turn off the LEDs. 38-39: If the UART is not busy… then send the position (0-100) or (0xFF if there is no touch). 41-42: If there is a byte in the UART receive buffer, then light up or turn off the Blue LED. (Notice that the LED is active low so I use the “!” operation to flip the state of the signal. After that, I programmed the kit and tested it. It seemed like everything was good. 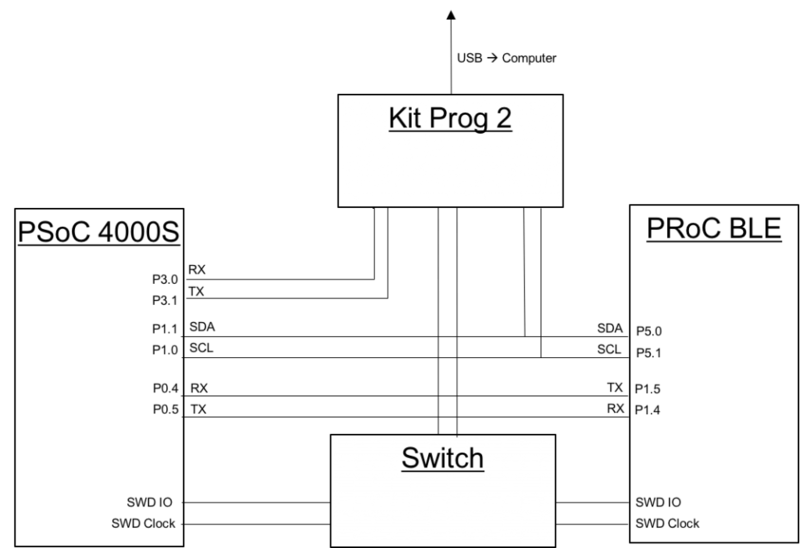 In the next post, I’ll show you the schematic and firmware that runs on the PRoC BLE. Note that the pin assignments shown above are for the pre-production version of the -145 board. They are completely different (at least for the CapSense pads) on the production board. I asked the kit team to make a few changes … which they did … based on my experience with it. I should update it to the current pinout. The nice thing is how configurable the chip is.